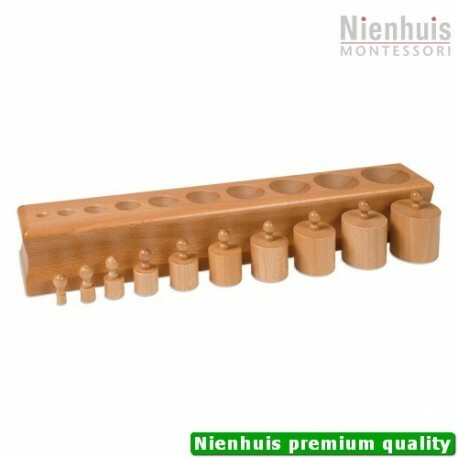 Cylinders progress in height and diameter from small to large. 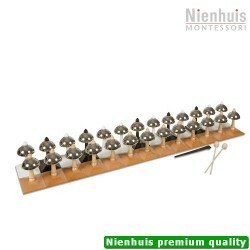 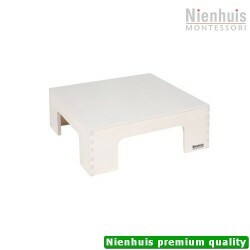 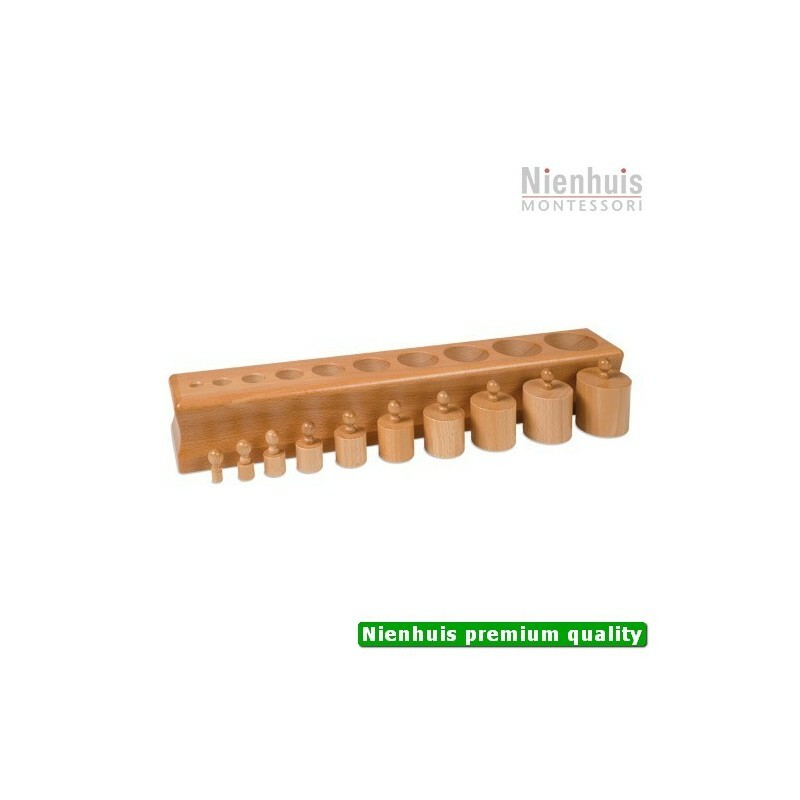 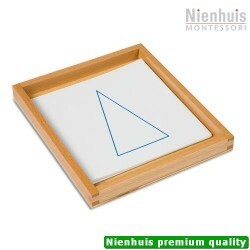 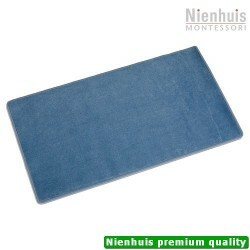 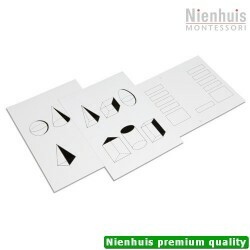 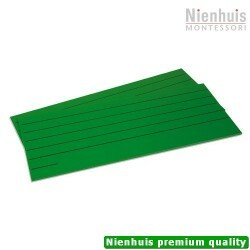 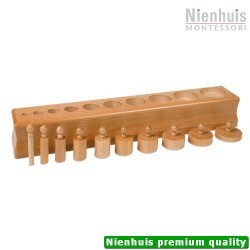 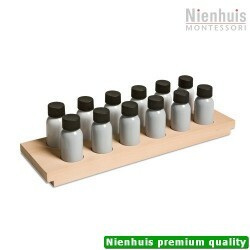 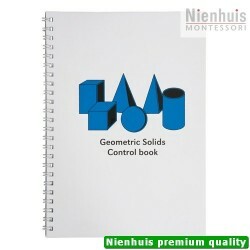 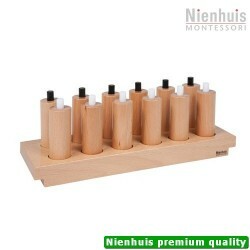 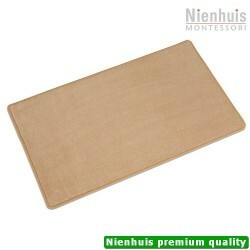 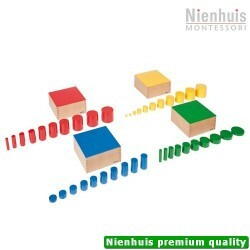 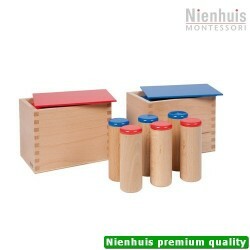 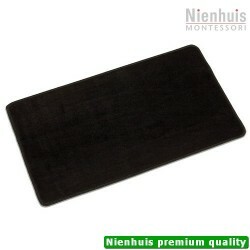 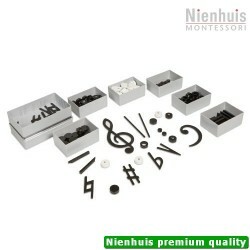 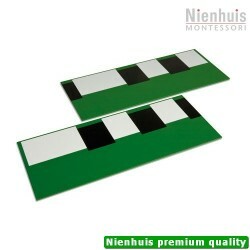 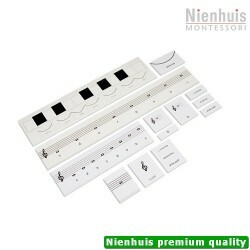 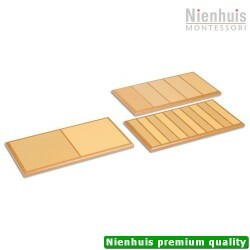 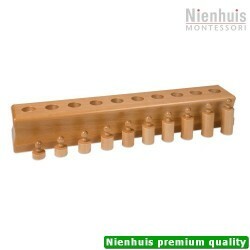 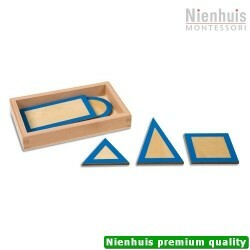 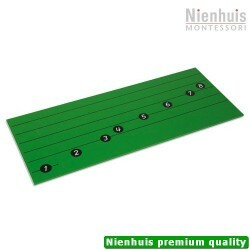 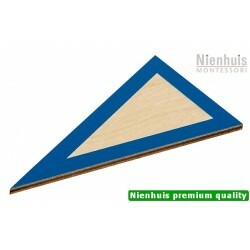 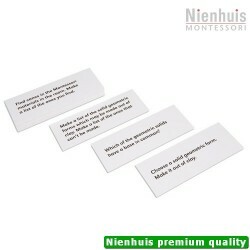 - The Cylinder Blocks introduce the child to the first stage of visual discrimination of size. 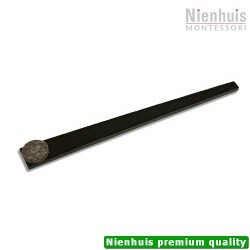 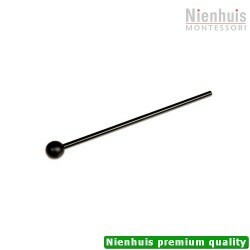 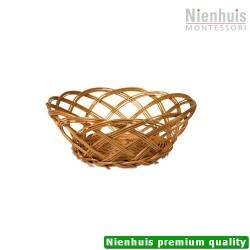 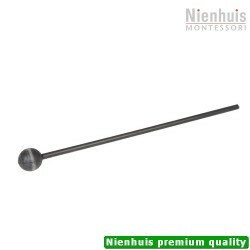 Made of solid beechwood with a satin smooth lacquer finish. 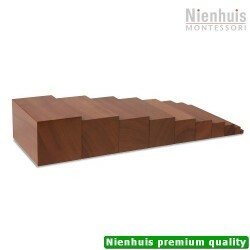 Each block has slightly rounded edges and each cylinder is individually sanded and lacquered.